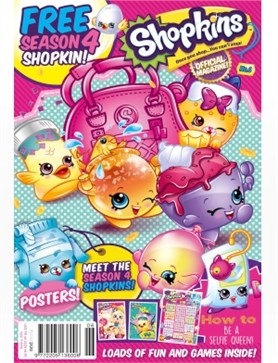 Shopkins #06 - MyMagazines - Subscribe online and save. Come on an adventure to Shopville! This issue you’ll get to know the season 4 Shopkins even better, learn how to take the perfect selfie and be entertained for hours with loads of shoppies themed activities. Plus there is an awesome mega poster for your wall!